Chief Smith began his policing career in 1977 and joined Charlottetown Police Services in 1978. His policing career has been varied including work within Uniform Patrol, Drug Section and Major Crime and in 1995 was appointed to the position of Chief of Police for the City of Charlottetown. 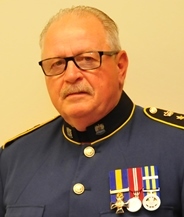 Chief Smith has been invested as an Officer of the Order of Merit of the Police Forces, a recipient of the Queens Diamond Jubilee Medal and is a recipient of the Police Exemplary Service Medal for 40 years service. He is an active member of the Canadian Association of Chiefs of Police (CACP), serving as a member of the Board of Directors and a member of the CACP Victims of Crime Committee. He is also an active member of the PEI Association of Chiefs of Police, having served as president. Locally, Chief Smith also serves on a number of committees associated to Domestic Violence and Community Safety, a past member of the Victim Services Advisory Committee, a member of the Board and Treasurer of the John Howard Society of PEI, a member of the Board of Special Olympics PEI and serves as an Aid de Camp to the Lt. Governor. 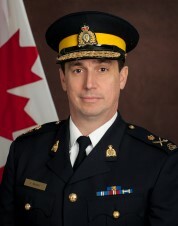 Deputy Commissioner Gilles Michaud has been a proud member of the Royal Canadian Mounted Police (RCMP) since 1986, when he was first posted to work in the Province of Quebec where he honed his Federal Policing experience from a small detachment in Mont Laurier to more specialized investigative units in St Jerome and Montreal. He eventually transferred to Ottawa where he continued his progression in the Federal Policing environment as a Commissioned Officer both within a Division and at National Headquarters. During his 32 years of service with the Force, D/Commr. Michaud acquired a wealth of experience in the areas of organized crime, proceeds of crime and commercial crime investigations at the national and international levels. For a number of years, he was in charge of the RCMP’s National Security Criminal Investigations Program which was entrusted with investigating counter-terrorism and espionage cases. 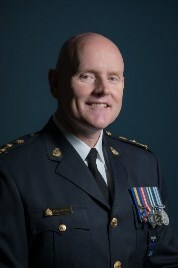 He recently served as the first Commanding Officer of the newly-established National Division, whose mandate is to oversee the conduct of sensitive investigations of threats to Canada’s national interests, as well as, to provide protective policing services in the National Capital Region, including security for the Parliamentary Precinct, the Prime Minister of Canada and other Canadian Executives and foreign dignitaries. In October 2016, Deputy Commissioner Gilles Michaud was appointed to lead the Force’s Federal Policing business line, which is the core line of service carried by the RCMP across Canada and around the world. D/Commr. Michaud is a graduate of the FBI National Executive Institute’s 39th Session, the FBI National Academy’s 213th Session, as well as of the Leadership in Counter-Terrorism Program administered by the FBI National Academy. He is also a graduate of the Harvard Kennedy School Executive Program in National and International Security and McGill University’s Executive Development Program. He is a recipient of the Governor General’s medal for academic achievements, as well as, the Queen’s Jubilee and RCMP Long Service medals. In January 2014, D/Commr. Michaud was also appointed Officer of the Order of Merit of the Police Forces. He is originally from St Leonard, New Brunswick and is a loving father to his two adult children. 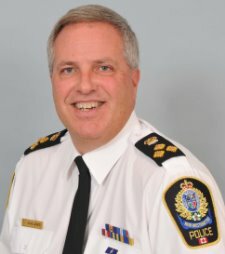 Born and raised in Ottawa, Charles Bordeleau began his policing career in 1984 and was sworn in as Chief of the Ottawa Police Service on March 5, 2012. Chief Bordeleau has served on the boards of numerous community organizations and he has an excellent understanding and rapport with Ottawa’s growing diverse communities. Chief Bordeleau also has well-established, strong relationships with our public safety partners at the Municipal, Provincial and Federal levels including key strategic partners in the private sector. He sits on the Board of Directors for the Canadian Association of Chiefs of Police (CACP), as well as the Ontario Association of Chiefs of Police (OACP). He represents Canadian Chiefs of Police on Special Olympics Canada’s Board of Directors. In 2011, Chief Bordeleau received the Dean’s Philos Award from the University of Ottawa’s Telfer School of Management. This award recognizes individuals who have demonstrated outstanding philanthropic achievement and social commitment. He sits on the Board of Directors of United Way Ottawa, is the Past Chair for the Youth Service Bureau Charitable Foundation, sits on the TELUS Community Board, on the Montfort Hospital Foundation, and the Community Foundation Board of Directors for the Ottawa Sports and Entertainment Group (OSEG). In 2012, he was awarded the Queen’s Diamond Jubilee Medal in recognition of his contribution in building a safe and inclusive community. 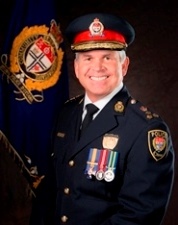 In September 2014 Chief Bordeleau was invested as an Officer of the Order of Merit of the Police Forces. He is fluently bilingual, holds a Masters in Disaster and Emergency Management from Royal Roads University (in B.C.) and a Bachelor of Administration Degree from the University of Ottawa. He is an active volunteer in the community. His wife Lynda is a lawyer who specializes in police labour law and they have one daughter who is in law school. Dave P. Jones, O.O.M., began his policing career in 1982 as a volunteer with the Reserve Police Section of the NWPD. He was later hired on as a full-time officer in September of 1986. During his career he has worked in a variety of sections of the police service including Patrol, Major Crimes Section, Special Operations Unit, Drug Section, Community Services Section, and Street Crimes Unit. In addition he has worked on a variety of Joint Forces Operations during his time spent in the JFO (RCMP/NWPD) Drug Section, Operational Support Unit and the Street Crimes Unit. During this time period he has led and participated in numerous major projects, including the downtown initiative that dealt with an influx of crack cocaine dealers in the late 1990s. In addition, Chief Constable Jones worked with various city departments in the creation of the Integrated Service Team (IST) model that is still in effect today that deals collectively with community and policing issues. Chief Jones has received recognition for various investigations and events in the form of Chief Constable Commendation, Sr. Officer’s Commendation, Queen’s Jubilee Medal and the Queen’s Diamond Jubilee Medal. In May of 2013, the Governor General of Canada presented the Member of the Order of Merit of the Police Forces medal to Chief Jones, recognizing commitment to this country and to honour a career of exceptional service within policing in Canada. Chief Jones was promoted to the rank of Inspector in March 2000 and served as the Officer-in-Charge of Major Crimes Section and then Patrol Division. In October 2009 he was promoted to the position of Deputy Chief Constable, and in March 2011 he was promoted to the rank of Chief Constable, making him one of the first members of the NWPD to work his way through the ranks to the position of Chief Constable. Chief Jones holds a Bachelor of General Studies degree within a joint Simon Fraser University/Justice Institute of BC Leadership Development program. Chief Jones is an active member of local, provincial and national associations of police chiefs. He is also a member of PRIME Corp Board of Directors. Chief Jones is actively involved in the local community soccer and sports programs and currently chairs the Coquitlam Field Sports Association.